Check out this Tesla Model 3 Performance road trip from Washington, DC to Oklahoma City. YouTube channel Redline Reviews focuses on in-depth reviews of performance-oriented cars. It also operates as a blog in some cases. This particular vlog puts you inside the car to enjoy highlights from a recent 3,000-mile journey in the Tesla Model 3 Performance. The main focus here is on EV road-tripping in terms of range and charging. The trip was actually some 1,300 miles in each direction. 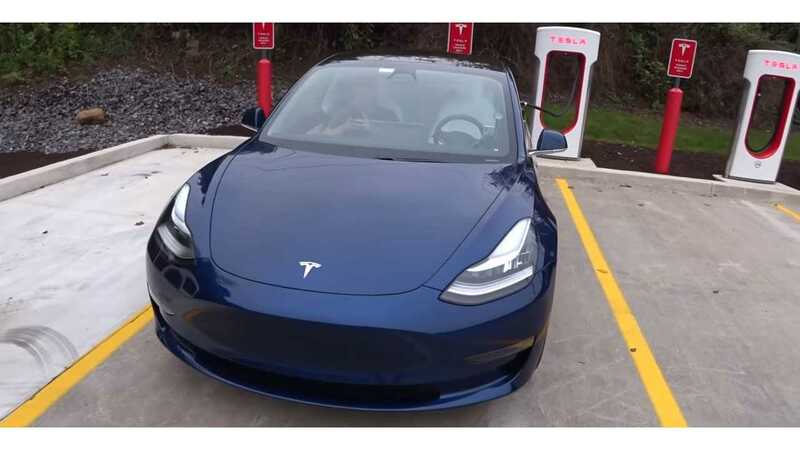 The guys from Redline Reviews covered it over the course of two days, during which they charged the Model 3 five times. In total, driving an EV added about four hours to their trip. While a charging session may have been as short as 40 minutes, the longest time at a charger was over an hour. They point out that it's a bit difficult to adjust to the long charging stops, as well as the fact that the car gets to a low point on available range during the trip, which can cause some anxiety. However, they also remind us that most people like to stop every two or three hours anyhow, and Tesla's Supercharger network helps to eliminate range anxiety. Not to mention the fact that the Model 3 has an impressive range and there's nothing quite like not having to pay for gas. Their Model 3 Performance includes free Supercharging. At an average of 75 to 80 mph, they get about 275 miles of real-world range. At one point they have to drive slower to make sure they don't run out of range before getting to the next Supercharger. So, continued expansion of the network will help with this issue. Also, as many people suggest, if charging time could be reduced even further, it would make road-tripping in an EV more desirable.